Accountancy Training & Development. We do lots of it, us accountants, do we not? Starts with our professional exams, flows on into CPD. It gives us the technical know-how to achieve our expert status with updates galore. And maybe even a sprinkle of management training thrown in for good measure. And what have you got at the end of it? A pretty generic Accountancy Training & Development programme, that's what. The recipe? Good old Pareto: 80% technical, 20% softer skills. Bob's your uncle, job done. But how often do we consider what our job is really about? Or look at skills development that would really serve us well? Or put another way, how often are we sitting through courses or read bumph, that's pretty much irrelevant to real life at the coalface? Ring any bells? Would improvement in any these areas make a difference to your life? The reality is that this is exactly the sort of stuff that keeps us awake at night. If we could ease just one of these irritants the we could be looking at a radical improvement. Not just in the quality of our work. But in the quality of our whole life. Why then are solutions to these typical aggravations not considered core to accountancy training and development? The simple answer is - lack of imagination. Most of us have come through the treadmill, believing, and being led to believe, that accountancy training and development is primarily about technical learning. That's where our professional training was focused and that knocks on into our CPD. And technical training tends to be the area where our organisation provides support. But it doesn't have to be like that. The good is that under IFAC's educational standard (which applies to the vast majority of UK accountants), CPD is most definitely not just about technical learning. It is about supporting your full range of responsibilities. It's no longer solely about technical prowess in finance, accounting and tax, but embraces all aspects of your role. From people management to presentation skills to work life balance. Its all CPD now! You can read more about how the IFAC's educational standard applies to UK accountants together with the brave new world of CPD. Just go to my article, The other P in CPD, first published in accountingweb. But in the meantime, hark the good news! You can now, quite legitimately, broaden your definition of accountancy training and development. You can actually get out there and start addressing those niggles that really make a difference to your work and your life. Right now! Carol McLachlan is theaccountantscoach. A chartered accountant and executive coach, she works one to one with accountants to help them to maximise their potential at work and in the whole of their lives. 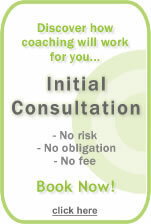 Click here to book your free consultation. Would you like to receive direct to your inbox, the latest tips and techniques to get the most of your Accountancy Training & Develpment? You can access this service for free by clicking on this email link and entering 'subscribe' in the header. Wow! It seems that there are lots of things to be done in order to train your accounting skills. It's true that there are things people hate doing at work. But once they're able to overcome them, their work will be much easier.